New research has exposed our leadership paradigm as a outdated mess of flawed models and practices. By working with great leaders and observing their common attitudes and behaviours, Richard Hames has cracked a universal code based on intelligence, appreciation and collaboration. 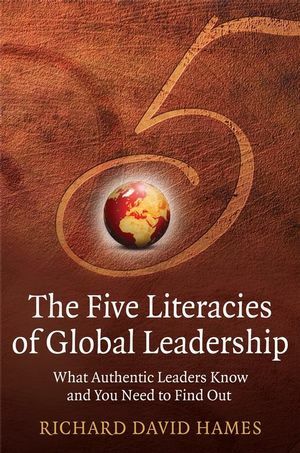 This code unlocks Five Literacies of Global Leadership. These behaviours are the trade secrets of the artists and alchemists among us. Often instinctively, these leaders charge others with energy, search for new perspectives and embrace diversity. And they are driven by dialogue. 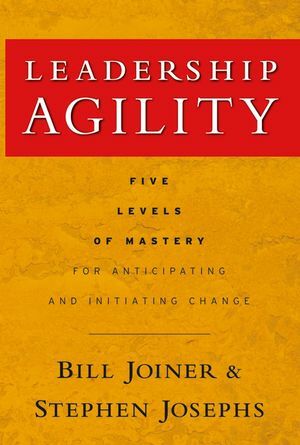 This book reveals approaches and attitudes that they all share - and that can make anyone an exceptional leader. Richard David Hames is a strategic futurist, corporate philosopher and ‘whole system’ knowledge designer. Working at the interface between organizations and society, and frequently transcending both history and ideology, he is widely considered to be among the world’s most innovative intellectuals. An Australian citizen, educated in Europe and domiciled in Thailand, Richard is Honorary President of The Hames Group (a globally-distributed think-tank and design laboratory comprising thought leaders from all fields of human endeavor) and the Director of Thoughtpost EDGE. Richard’s early international experience as a business strategist was inspired by a close professional friendship with the legendary Dr W Edwards Deming. Today, he specialises in the reinvention and renewal of the more toxic conventions underpinning 250 years of industrial capitalism. An authority on the ‘deep design’ of strategically viable solutions for business and government in the knowledge society, Richard has built an enviable reputation as a leadership strategist with a range of clients spanning the globe and in all sectors of the economy. He is a personal mentor to Presidents, Heads of State, and some of the world’s most innovative CEOs. For further information about Richard’s ideas and work visit http://www.hamesgroup.com or contact him directly at rdhames@hamesgroup.com. Che sera, sera! Whatever will be, will be. Bazaars, Brains, Brands and Brakes. Missed Steps in the Dance. PART THREE: THE FIVE LITERACIES. 8 Literacy I – Networked Intelligence. 9 Literacy II – Futuring. 10 Literacy III – Strategic Navigation. ChangeBrains and Strategic Decision Theatres. 11 Literacy IV – Deep Design. Bits and Pieces We Pay For. The Vital Stuff (Or Method). The Art of Strategic Conversation. 12 Literacy V – Brand Resonance.